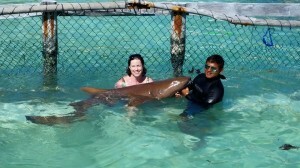 Dr. Lisa Poundstone is a rare combination of skilled designer and intelligent shark scientist. Often called the “Design Doctor” Lisa’s blend of creative and scientific knowledge has been a major factor in the success of her company, Design Smart Home Staging and Redesign. Lisa Poundsone holds a PhD and an Accredited Staging Professional designation. She also consults on personal style, color, and wardrobes. In the last seven years, more than 2,000 homeowners in the South Sound have experienced the benefits of the staging science she applies. Many clients say staging is like magic when it comes to selling a home. But, those who are aware of Lisa’s background know better. Lisa has a creative eye, but she also uses proven principles of biology, psychology, physiology and spatial sciences when she stages a home. 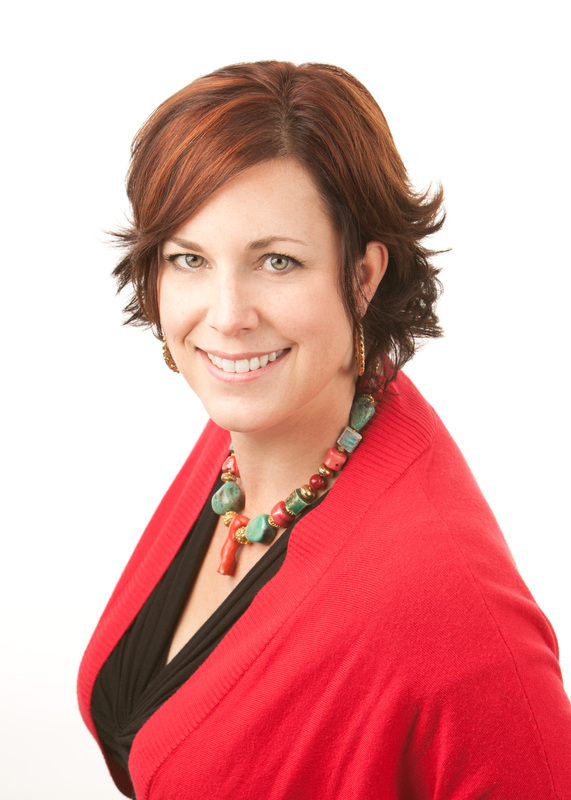 As a designer, Lisa earned the Accredited Staging Professional (ASP) certification, training directly under Barb Schwarz, the Seattle innovator who developed the popular home staging concept. But Lisa’s scientific training began at a young age when she aspired to be a shark scientist, eventually becoming one. Lisa earned her Bachelor of Science degree in Marine Biology from The Evergreen State College and then both her Masters and PhD in Organismal Biology and Anatomy at the University of Chicago. Little did she know at that time how her doctoral study of the evolution of the movement of “batoids”—cartilaginous fish closely related to sharks, known as manta rays and stingrays—would contribute to her success as a designer. 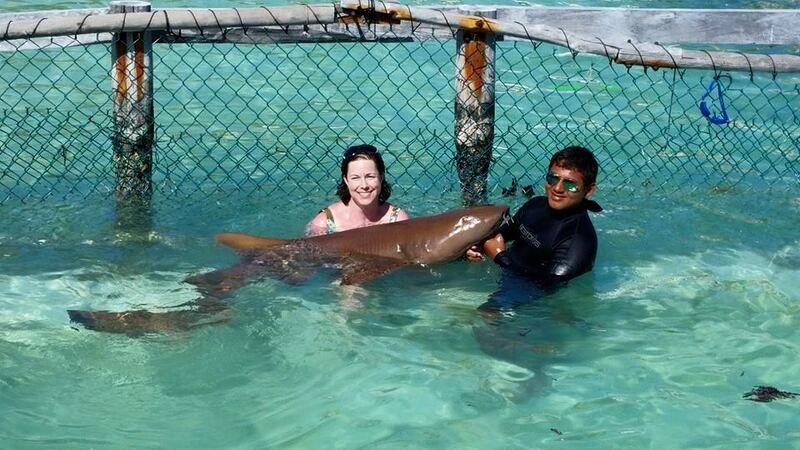 Lisa Poundstone poses with a shark during a recent trip to Isla Mujeres in Mexico. 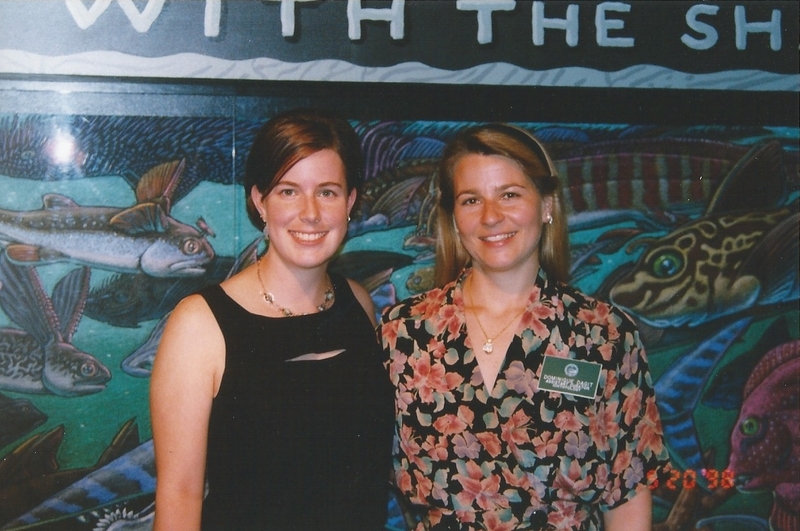 Her research took several years of analysis and observation at marine laboratories, aquariums and natural history museums throughout the United States and included a three-month tour through Europe. Lisa Poundstone is pictured with Dominique Didier prior to attending the University of Chicago to earn her doctorate. Lisa will tell you that her strengths are evenly distributed between the analysis of her left brain and creativity of her right brain. Today that bodes well for homeowners as her background in science and research and her eye for design, work in tandem to stage homes so they sell quickly and for a higher profit.